If you want to move to Midtown Manhattan and you don’t know exactly what area to choose, then you should take a look at Stuyvesant Town. This private residential development is situated in the eastern side of Manhattan. Stuy Town, how its residents call it, got its name from Peter Stuyvesant, New Amsterdam’s last Director General. The complex was constructed on the old site of the gas storage tanks in Gas House district. The establishment was planned in 1942 and the first building was opened in 1947. Stuyvesant Town features 35 apartment buildings made from red brick. The development sits between 23rd and 14th Streets, Avenue C and First Avenue. The lot size is 80 acres and it also includes parkland and various playgrounds. The complex features 8,757 apartments and it’s bordered by Kips bay, Alphabet City, East Village, Gramercy Park and East River. The area surrounding the Stuyvesant Town is called Stuyvesant Square and it includes buildings like Beth Israel Medical Center, St. George’s Church and Stuyvesant High School. The neighborhood is secure and peaceful. Moreover, it is minutes away from Manhattan’s hottest spots. In addition, the 3 surrounding neighborhoods, Gramercy Park, Union Square and East Village will offer numerous fine shopping, entertainment and dining venues. 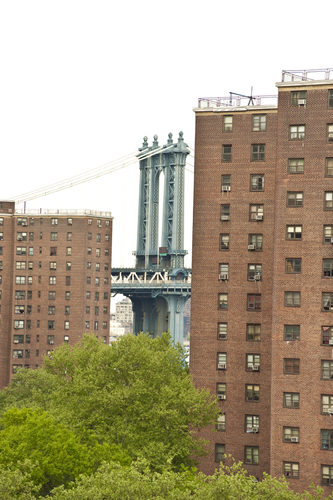 Stuyvesant Town offers both classic and modern apartments. You can choose whatever you want, depending on your tastes. The residences are spacious and have oversized living areas for entertainment and relaxation. The apartments come with hardwood floors in natural or ebony finishes and high ceilings. All the apartment buildings have amazing utilities and features and are pet – friendly. If you go for the modern apartments, you’ll benefit from large dining areas, large windows and ebony wood floors. Also, kitchens will have stainless steel appliances, custom cabinetry, stone backsplashes and countertops and windows. The bathrooms feature lots of storage space, custom vanities, illuminated medicine cabinets and Kohler fixtures. The bedrooms also have ebony wood floors, king-size beds, a lounging area and custom closets. In case you are the classic type, you will find what you need in Stuyvesant Town. The classic residences have large dining and living areas and natural wood floors. The same natural wood floors can be seen in the bedrooms. The rooms have over- sized layouts and plenty of storage space. The classic kitchens are well-equipped and include white appliances, custom maple cabinets and granite countertops. The bathrooms are very elegant and they feature abundant storage space, marble tiling, oversized medicine cabinets and granite countertops. This great area has a lot of awesome amenities. First of all, it includes numerous green spaces and playground for the little ones. Second of all, Stuyvesant Town is home to various services and extraordinary activities including food fairs, social events, movies, seasonal greenmarket, live music and an ice skating rink. Sports fans have at their disposal many bocce ball, paddle tennis, volleyball and basketball courts. Moreover, the complex features a study area, concierge services, a café and a fitness club. Overall, you cannot get bored in Stuyvesant Town because it is the ideal place to settle down. For more information on Manhattan Real Estate and Luxury Condos, CLICK HERE to speak with Doug Heddings. This entry was posted in Market Insight, Neighborhoods, Uncategorized. Bookmark the permalink. ← Midtown Manhattan Attractions That Rock!